The dynamics of our civilization development places excessive demands on a person. This development is accompanied by the utmost contradictions connected with the lack of production of public relations in comparison with material and spiritual production. Therefore, our modern society suffers from serious afflictions and axiological disorientation. Social apathy, loss of moral guidelines, destruction of creative ideology, cultivation of dependant and consumer qualities, the decrease in the level of responsibility in all fields of activity, the increase of techniques for manipulating public consciousness – this is an incomplete list of pathological phenomena, which threaten to turn into severe consequences and innumerable disasters not only for our country, but for the whole world. Sociologists believe that one of the global threats to mankind is the unawareness of present circumstances. The crisis of modern science and education reflects the current situation. The free flow of information does not leave time for reflection and tears up the ideological basis. It’s necessary to introduce new approaches to knowledge organization and the formation of a real picture of the world. Modern culture is based on the principle of individual rivalry. An individual has to struggle with other members of the same group, prevail over them and frequently “push them aside”. Superiority of one person often means failure for another. All human activity is accompanied by rivalry and concomitant potential hostility. Competition is considered as one of the dominanting factors in social relations. In conditions of the absence of spiritual and moral foundations and accurate functional orientation the practice of martial arts can lead to social and psychological deformation of personality that becomes aggressive and dangerous to society. Therefore, one of the important social and pedagogical aspects of the Kadochnikov System is the education of a “safe type” person. In other words, it is required to develop the skills which help to overcome psychological and social stereotypes as well as to find creative solutions for the most complex conflicts. And this involves the necessity of the formation of a “mental model of the world” which would be the most adequate to reality, and the necessity of mastering predictive skills of anticipatory reflection of reality and a research-cognitive approach to life. Any martial art is inseparable from history, philosophy and the religion of the people settled in the land of their ancestors. As a part of national culture, it is required for mankind as a way of the entire education of an individual, his intellectual development, familiarizing with the collective experience accumulated by mankind, with concrete social and historical interests, aspirations and ideals. Russian martial art philosophy can be expressed briefly – protection of the Fatherland. The basis of this outlook is the whole long history of our country, its geographical location and character of the people, formed in these climatic conditions. Being a part of the national military culture, the Kadochnikov System considers the concept of management of physical and mental human resources operating in extreme conditions of life as one of the most important ideological attitudes. In a combat situation under the complex influence of unfavorable factors people frequently are incapable of commiting the actions which require great physical strength. For this reason there is a vital need for a special training system directed at the achievement of the greatest results of his actions while saving the largest possible amount of energy. It is not just a viable, but primarily the energy-saving system of the hand-to-hand combat system – the system of the most rational and reasonable operating forces. This approach to motor activity is dictated also by climatic conditions of Northern Eurasia, where the character and culture of our nation is still forming. We do not consider hand-to-hand combat as a panacea for all troubles. We believe nowadays all questions connected with it has shifted more towards the direction of huge educational effect, the direction of the development of psychological and special physical qualities. They consist of an increase of psychological and physical stability to influence adverse environmental factors, in the development level of raw perceptions, as well as in the use of reserve capacity of the organism and development of dexterity, resourcefulness and ability to adopt unconventional solutions. Therefore, the patriotic education of preinduction youth, the prevention of juvenile crime and promotion of a healthy lifestyle among students are important sociocultural challenges of military art. 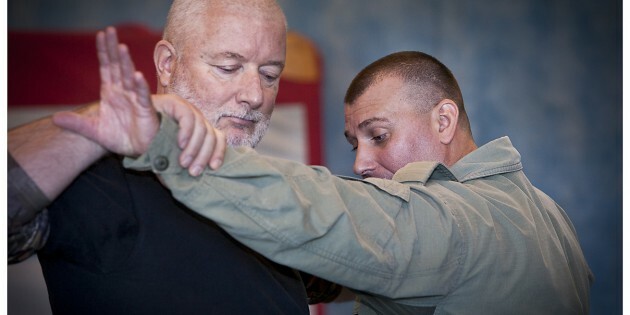 The style of hand-to-hand combat considered in this article is the section of human survival, as a personal safety technique, focused on the preservation of viability in a dangerous situation. This system is based on the unshakable foundation of modern science: physics, anatomy, biomechanics, physiology, ergonomics, psychology, conflictology, etc. Thus, A. A. Kadochnikov considers hand-to-hand combat in all its facets, from both practical and theoretical sides of human life. – the technical arsenal of activity. Martial art, like any other, should increase real life experience of a person. The practice of martial arts for personal safety purposes can change the cognitive stereotypes and develop specific sequence of problem solution. Firstly, the ability to predict the progression of events more clearly is a strategic component; secondly, the ability to assess the situation correctly and to avoid the most dangerous consequences is a tactical component; thirdly, the ability to carry out reciprocal action in time is an operational component. Taking into consideration all the aforesaid, it’s obvious that there exists distinctions in biomechanical movements and techniques between combat sports and applied hand-to-hand combat, the aim of which is human survival. Another difference from combat sports is that an athlete acts strictly in accordance with the rules and ethics of sport, but the situation in which a warrior operates is often unpredictable. Russian martial art is based on laws of honor and valor of the Russian forces established in ancient times. The main tenet of survival, i.e. survivability is duty, possibility and necessity of preservation of health, strength and life for the solution of globally significant tasks of human development. 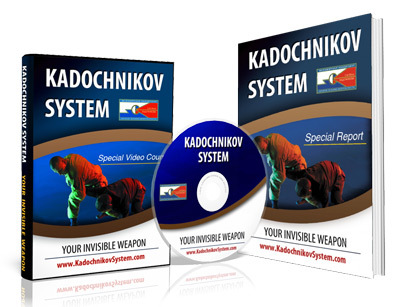 Based on a complete perception of the world and considering objective laws the Kadochnikov System allows to concentrate efforts on the research of actual problems and processes of interaction between nature, society and the person.